People have been making DIY, light-up lightsabers since Star Wars came up, but there’s a new kind of glowing sword thanks to The Witcher series of games. Maker Max Giese introduced us to the concept of replicating the gleaming runes in the Wild Hunt with LEDs embedded in a 3D printed sword. We featured his first attempt at the project back in August of this year, and he’s back with an even more impressive design here. 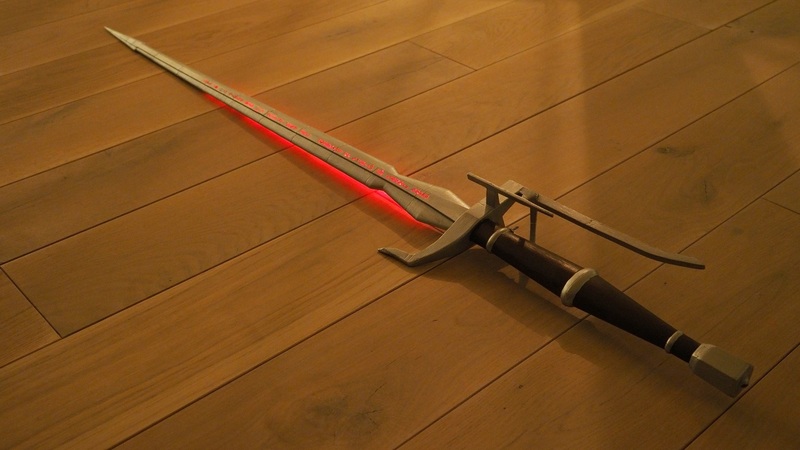 The sword is based off of the Reach of the Damned whose files were extracted from the game and modified in Fusion 360 until they were suitable for printing. As is the case with most models taken from games, a lot of work needs to be put into them before they can head to the printer and Giese tells us that he spent around 25 hours on this step. Printing took even longer at 82 hours using up 440 grams of of transparent PLA filament. The transparent plastic will allow the light from the internal LEDs to shine through, and paint will be used to cover the parts of the sword which should be steel. Assembly ate up another ten hours. After sanding multiple layers of black acrylic were applied as a primer before of silver was applied for the blade, and brown for the handle. As with most printed swords, there’s a steel rod inside of the plastic here to give it rigidity. 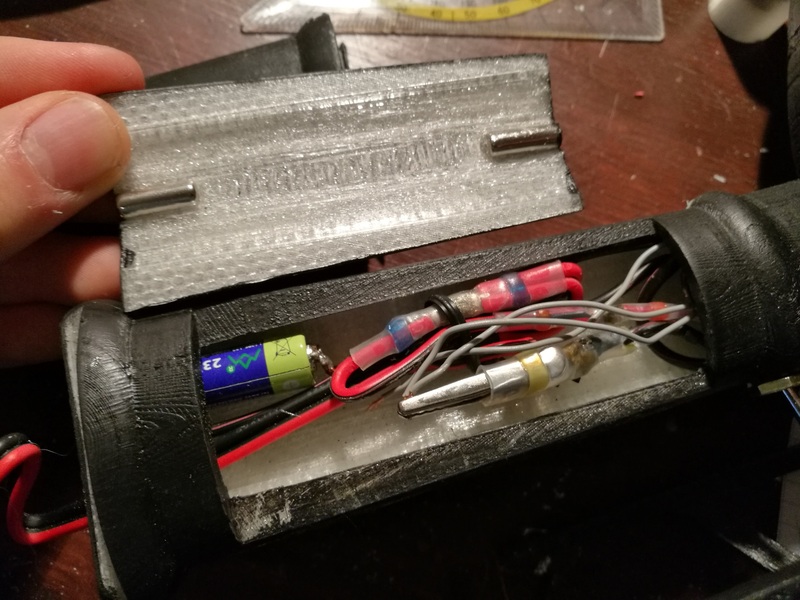 Also hiding out of sight are the electronics – a 60 centimetre strip of RGB LEDs inside of the blade together with a 12V battery, a switch and a some wiring inside of the handle. Giese says that, compared to his last creation, this sword is more stable thanks to the various section of the print which have been designed to lock together. The electronics also got an upgrade as they can be accessed through a hatch (connected magnets you can see here). Another change is the addition of a power cable so that the battery can be bypassed and the lights can be fed through a wall socket instead. Not quite practical for cosplay, but fantastic for display. At 130 centimetres long, making your own version of this sword would be quite the undertaking, but you can start with the free files which are available over on MyMiniFactory. Future swords will feature a proper LED controller combined with a thinner, more accurate blade, so check back soon to see that.